Carcassonne is an ancient city located in the Languedoc-Roussillon region of south central France. It is famous for the Cite de Carcassonne, a 13th century medieval fortress. Now listed on the UNESCO World Heritage Sites it was abandoned by the military in the early 19th century and nearly torn down. Thankfully a group of local academics took action to save this historic fortress, gained national support and reconstructed the buildings from 1853 to 1862. 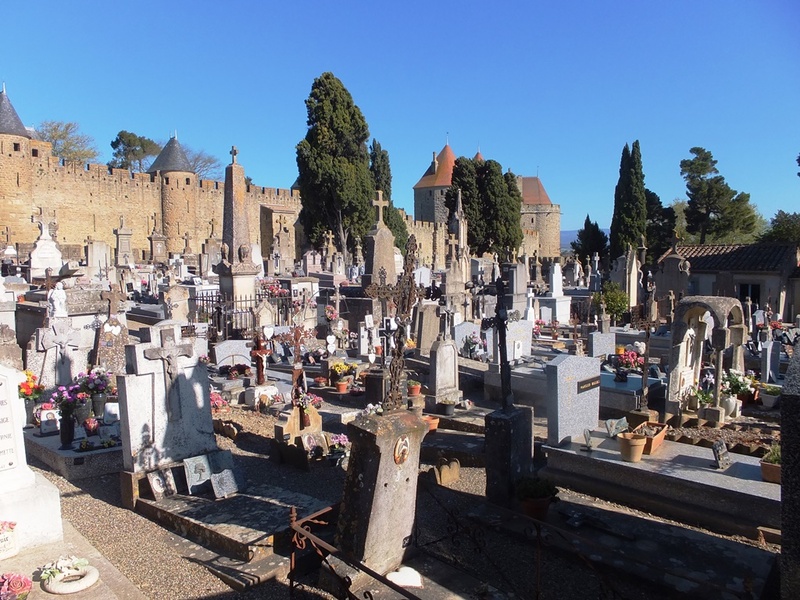 Just outside the Narbonnaise Gate is the Cemetery of the City. 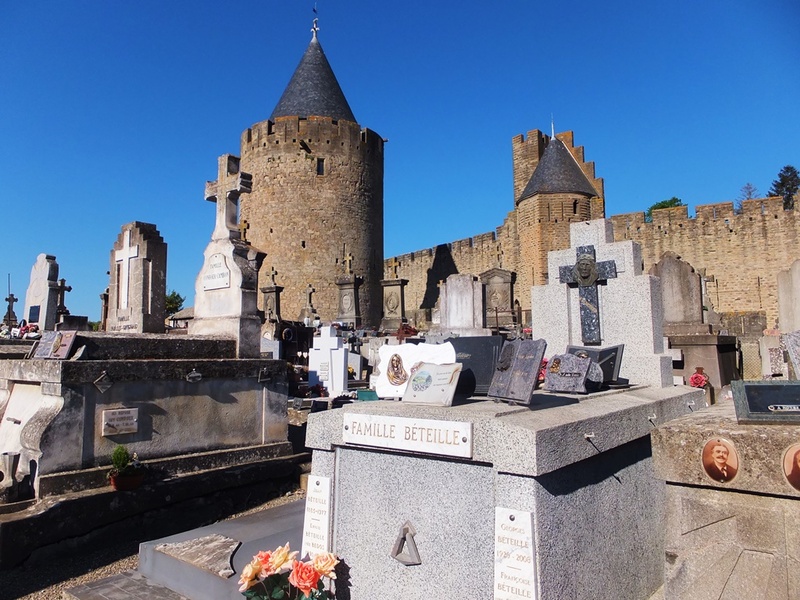 It is interesting to visit because it is so different from most other burial grounds we visited in France. The layout is simple, consisting of four parallel lanes inside a stone wall. It is virtually devoid of chapels, mausoleums, funerary art and sculpture. 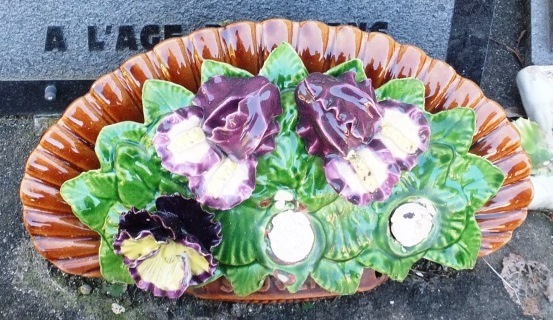 Rather the decoration of choice is crucifixes (lots and lots of crucifixes), faience pottery flowers, photographs and handmade stone remembrances consisting of juxtaposed personal items belonging to the deceased.